CoreLink Announces the Acquisition of Medical Device Company Expanding Orthopedics, Inc.
ST. LOUIS–(BUSINESS WIRE)–CoreLink, LLC, a fast growing, vertically integrated designer and manufacturer of spinal implant systems, announced today the acquisition of the privately-held Israeli medical device company Expanding Orthopedics, Inc (EOI). 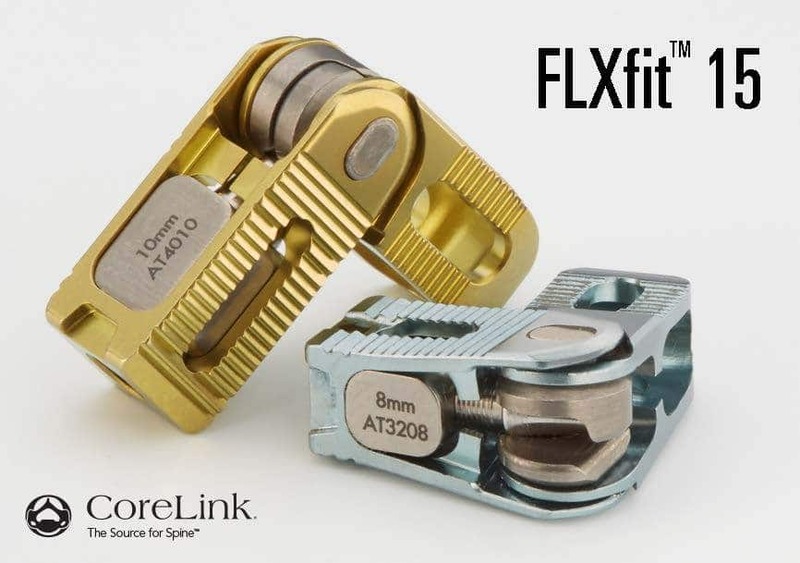 Along with the FDA cleared expanding and articulating FLXfit™ and FLXfit 15™ titanium TLIF interbody systems, CoreLink has also acquired a broad array of patents and in-development products addressing the expandable interbody and spinal fusion market. CoreLink acquires Expanding Orthopedics Inc, including the FLXfit articulating and expanding interbody along with a portfolio of patents and products in development relating to expanding spinal implants. FLXfit 15 is an unique titanium TLIF interbody device compatible with Minimally Invasive Surgery. Once in the disc space, it articulates to aid placement along the anterior aspect of the apophyseal ring, providing up to 40mm of footprint length along this critical anterior column. The anterior height of the device can be continuously expanded an additional 4mm to provide up to 15° of lordosis. CoreLink will provide enhanced support for existing users of both the FLXfit and FLXfit 15 systems, while utilizing its unique vertical integration to quickly incorporate system upgrades for a full commercial re-launch in Q3. CoreLink, known as The Source for Spine™, internally manufactures more than 99% of its broad portfolio of spinal implant systems and leverages this vertically integrated expertise through collaboration and a dedication to empowering the performance of its surgeons and the improvement of the lives of their patients.